A classic, insightful Tarot book that focuses on the psychological resonance of each card. Pollack includes important historical context and frameworks for understanding the cards. Almost every Tarot reader I know and love has this book. If you can only afford to buy one book, start with this one. 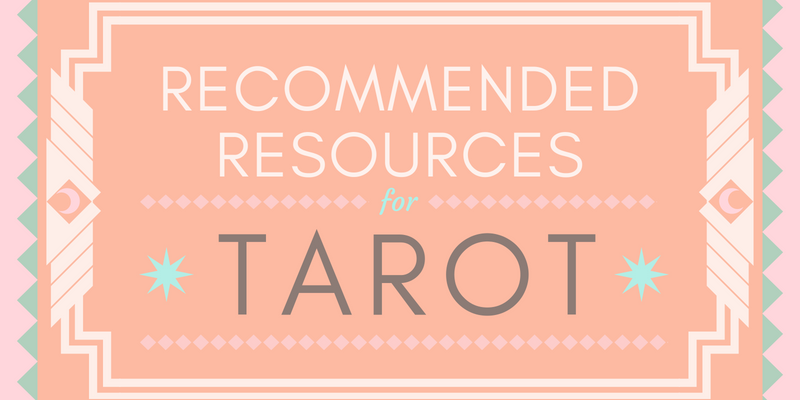 In the style of a reference book, Holistic Tarot gives more than an interpretation to each card. Wen denotes the planetary, elemental and numerological associations with each card; section include spreads for reading, how to begin reading for others, how to interpret cards for different topics, and the patterns in the court cards. I return to this resource over and over again. This book allowed me to understand the court cards in a whole new way; though I knew what the cards meant, I was intimidated to interpret the meanings in spreads. This book gave me a framework to approach these incredibly useful energies and archetypes. A workbook that frames the understanding of Tarot through your own personal numerology and life path. While I find some of the interpretations of the cards less resonant than other books, I nonetheless learned so much from the workbook part of the book, in which I discovered my life card is The Chariot. It helped me to contextualize some of the repeating lessons in my current embodiment and have more compassion on my journey. This book is based on the Marseille Tarot so the interpretations may not be as resonant with your deck, however, I learned much about the Tarot as a whole. Jodorowsky lays out some beautiful mandala spreads through which to understand and interpret the Tarot as an entire body of work. The numerology sections deepened my understanding as well as his ability to isolate and describe really specific details and symbols of each card. Understanding the Marseille is a wonderful exercise in understanding symbolism in general. An in-depth occult look at the cards from a perspective that invites the deeper mysteries of symbolism, especially through Kabbalah and ancient mysticism. This book is smaller than others but far more dense. Even just reading through the Fool description blew my mind and helped me understand Uranus, the symbol of the bull and cattle, and the card itself, much more deeply. If you feel like other books are boring you or are too light, try this one for a new esoteric understanding. Are there any resources you love that I should add?